Joy Wilkins Massage Therapy is a small, locally-owned massage studio nestled near downtown San Luis Obispo, California. Joy Wilkins Massage Therapy offers therapeutic, healing massage in a professional environment, including a variety of body massage techniques & body treatments that promote health and relaxation. We have been offering services since 1998. Being in business in this community for 20 years means that we are blessed to be a part of the health, wellness, and growth of the families and neighbors we serve. Services are offered Monday through Saturday by appointment in our calming, intimate space or at your home. 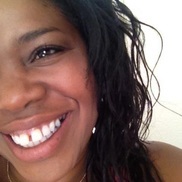 Joy Wilkins is a licensed massage therapist. She graduated from The Central California School of Body Therapy in 1998, and has been operating her own massage studio since 2003. Joy grew up in the health, wellness and beauty industry. Following in the footsteps of her mother, Joy branched off in San Luis Obispo and serves a niche in her local community. Specializing in massage, body treatments, and aromatherapy, she is certified in massage therapy and practicing a variety of modalities. Over the years, Joy has expanded her business to include destination and retreat massages, corporate packages, elder care and special needs massage therapy. The past two decades have provided her an expertise in working with chiropractors, spas, yoga practitioners. Book an appointment now to see what it means to be a part of #massagejoy: Bring your body back into balance. "The only thing rivaling her expert massage skills is her electric & warm personality. I will absolutely be back anytime I am in SLO. I cannot recommend her highly enough." "I've been going to her for years and have never been disappointed. She always asks about my health and zeroes in on any problem areas. She can really dig deep to try to break up the tension in my shoulders, but she also treats my chronic foot problems with tenderness." "I've been getting massages regularly for the past couple of decades, and Joy has some of the best hands I've ever experienced. I'm regularly active (lots of hiking), and Joy has the strength & applied the correct pressure I needed to work my achy muscles. She listened very well to my needs which we discussed right after my arrival." "Joy greeted me with a huge smile and made me feel at home. It was so relaxing and man can she give a deep tissue massage! I want to go back every week now. If you're looking for a place to unwind or stay healthy because you like to stay active I would highly recommend Joy's office. You'll never visit another place again!" "Do your self a favor and come here!"